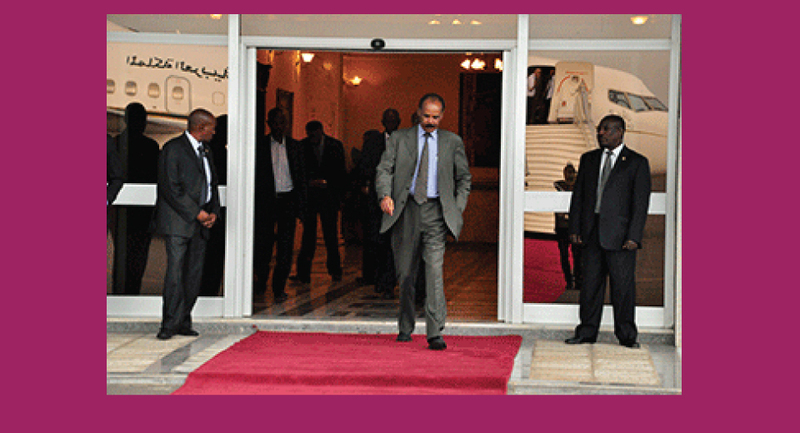 President Isaias Afwerki left for Saudi Arabia in the afternoon hours of today, 15 September. President Isaias Afwerki and Prime Minister Dr. Abiy Ahmed of the Federal Democratic Republic of Ethiopia will attend official ceremony in Jeddah tomorrow 16 September, where the peace agreement signed by Eritrea and Ethiopia on 9 July will be graced by the presence of King Salman bin Abdul Aziz of the Kingdom of Saudi Arabia, Mr. Antonio Guterres, UN Secretary General, and Mr. Moussa Faki, African Union Commission Chairperson. It is to be recalled that in recognition of the vision, courage and statesmanship they demonstrated to end war and bring about peace between the two countries, President Isaias Afwerki and Prime Minister Dr. Abiy Ahmed were presented with the highest Abu Dhabi honor “The Zayed Award” on 24 July 2018.